As cash registers continue to ring-down for music sales, streaming revenue is again on the rise. This time for artists and record labels from more than 2,500 non-interactive Internet radio (Pandora, etc. 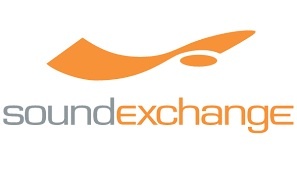 ), satellite radio and cable radio services collected by SoundExchange for their use of sound recordings. 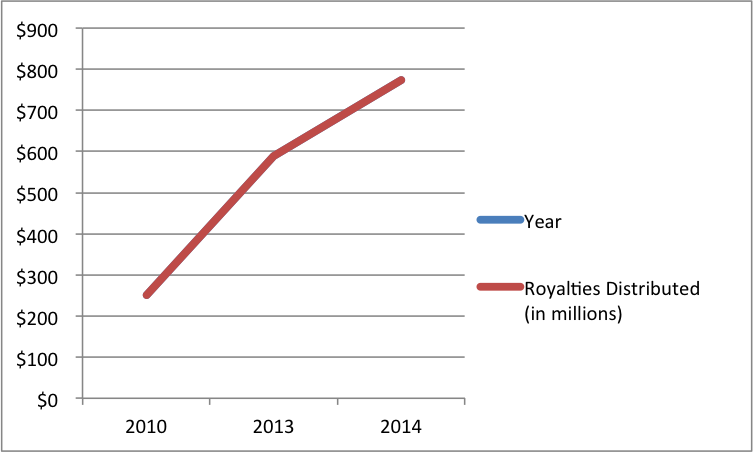 This week (Jan. 28), the 15-year-old nonprofit announced a record breaking year-end royalty distribution totaling approximately $773 million. Those figures are up 31 percent from last year’s $590 million. By comparison, BMI paid out $840 million to the songwriters and publishers in its most recent fiscal year. The Washington DC-based company’s 2014 fourth quarter distribution also increased from the previous year with more than 38,800 payments totaling approximately $183 million. • 1972, in support of the RESPECT Act. • Issuing quarterly Digital Radio Reports. • Beginning the SoundExchange Influencers Series at the Bluebird Café in Nashville. • Announcing Michael Huppe as President and CEO through 2018. • Introducing annual year-end charts naming the Top Streaming Artists, Top Recordings, and Top Breakout Artists. • Representing the entire recorded music industry in proceedings before the Copyright Royalty Board to set rates paid by webcasters.